BACL offers comprehensive unlicensed wireless device and licensed radio / radar testing services for all kinds of products that employ the RF Spectrum for communications purposes or for the purpose of transforming matter or doing work. In particular, BACL offers testing services for unlicensed wireless devices and licensed radios / radars intended for sale in the USA, Canada, Europe (i.e., the EU/EFTA/EEA nations), Japan, Singapore, Taiwan, Hong Kong, South Korea, Viet Nam, Australia, New Zealand, and Israel. Additionally, through our Laboratories in China we can offer testing services for products that are intended for sale in the Peoples Republic of China. BACL Sunnyvale is fully accredited and has been accepted by the FCC to perform unlicensed wireless device and licensed radio / radar testing in accordance with the following FCC Rule Parts (47 CFR Parts): 15C, 15D, 15E, 15F, 15G, 15 H, 20, 22, 24, 25, 27, 30, 73, 74, 80, 87, 90 (below 3 GHz, 90M, 90 DSRC, Y90Y, and 90Z), 95 (Below 3 GHz, 95M, 95L), 96, 97, and 101 (above and Below 3 GHz). Additionally, BACL is fully accredited and has been accepted by ISED Canada to perform testing in accordance with the latest versions of the following ISED Canada RSS Standards that are listed the ISED Canada Category 1 Equipment Standards List: RSS GEN, RSS 102, RSS 111, RSS 112, RSS 117, RSS 119, RSS 123, RSS 125, RSS 127, RSS 130, RSS 131, RSS 132, RSS 133, RSS 134, RSS 135, RSS 137, RSS 139, RSS 140, RSS 141, RSS 142, RSS 170, RSS 181, RSS 182, RSS 191, RSS 192, RSS 194, RSS 195, RSS 196, RSS 197, RSS 199, RSS 210, RSS 211, RSS 213, RSS 215, RSS 216, RSS 220, RSS 222, RSS 236, RSS 238, RSS 243, RSS 244, RSS 247, RSS 251, RSS 252, RSS 287, RSS 288, BETS-1, BETS-3, BETS-4, BETS-5, BETS-6, BETS-8, and BETS-9. 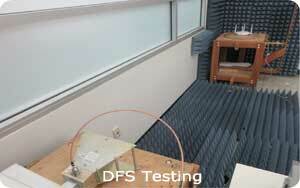 ANSI C63.10-2013, American National Standard of Procedures for Compliance Testing of Unlicensed Wireless Devices. FCC KDB Publication 558074 D01, Guideline for Compliance Measurements on Digital Transmission System, Frequency Hopping Spread Spectrum System, and Hybrid System Devices Operating under Section 15.247 of the FCC Rules. ETSI EN 300 328 V2.1.1, Wideband Transmission Systems; Data Transmission Equipment Operating in the 2.4 GHz ISM Band and Using Wide Band Modulation Techniques; Harmonized Standard Covering the Essential Requirements of Article 3.2 of Directive 2014/53/EU. FCC KDB Publication 789033 D02, Guideline for Compliance Testing of Unlicensed National Information Infrastructure (U-NII) Devices Part 15, Subpart E.
ETSI EN 301 893 V2.1.1, 5 GHz RLAN; Harmonized Standard Covering the Essential Requirements of Article 3.2 of Directive 2014/53/EU. ETSI EN 302 502 V2.1.1, Wireless Access Systems (WAS); 5.8 GHz Fixed Broadband Data Transmitting Systems; Harmonized Standard Covering the Essential Requirements of Article 3.2 of Directive 2014/53/EU. ETSI EN 300 220-1, Short Range Devices (SRD) Operating in the Frequency Range 25 MHz to 1000 MHz; Part 1: Technical Characteristics and Methods of Measurement. ETSI EN 300 330, Short Range Devices (SRD); Radio Equipment in the Frequency Range 9 kHz to 25 MHz and Inductive Loop Systems in the Frequency Range 9 kHz to 30 MHz; Harmonized Standard Covering the Essential Requirements of Article 3.2 of Directive 2014/53/EU. ETSI EN 300 440, Short Range Devices (SRD); Radio Equipment to Be Used in the 1 GHz to 40 GHz Frequency Range; Harmonized Standard for Access to Radio Spectrum. FCC KDB Publication 662911 D02, MIMO with Cross-Polarized Antenna. 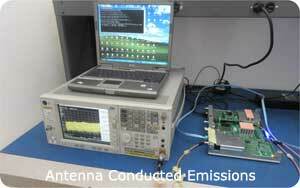 FCC KDB Publication 935210 D03, Wideband Consumer Signal Booster Compliance Measurement Guidance. FCC KDB Publication KDB 935210 D05, Measurements Guidance for Industrial and Non-Consumer Signal Booster, Repeater, and Amplifier Devices. FCC/OST MP-5 (1986), FCC Methods of Measurements of Radio Noise Emissions from Industrial, Scientific, and Medical Equipment. ANSI/TIA-603-E-2016, Land Mobile FM or PM Communications Equipment Measurement and Performance Standards. ANSI C63.26-2015, American National Standard for Compliance Testing of Transmitters Used in Licensed Radio Services. FCC KDB Publication 905462 D02, Compliance Measurement Procedures for Unlicensed-National Information Infrastructure Devices Operating in the 5250-5350 MHz and 5470-5725 MHz Bands Incorporating Dynamic Frequency Selection. 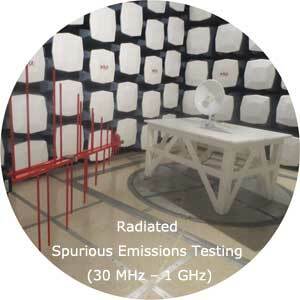 Radiated spurious emissions (signal substitution method) in accordance with ETSI standards. EN 303 413 V1.1.1, Satellite Earth Stations and Systems (SES); Global Navigation Satellite System (GNSS) Receivers; Radio Equipment Operating in the 1164 MHz to 1300 MHz and 1559 MHz to 1610 MHz Frequency Bands; Harmonized Standard Covering the Essential Requirements of Article 3.2 of Directive 2014/53/EU. 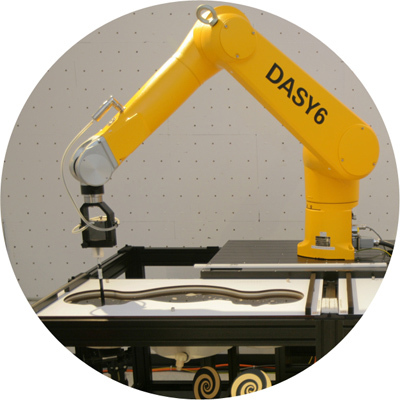 BACL Sunnyvale has all of the required test facilities, test instrumentation, and test software needed to perform all of the unlicensed wireless, licensed radio, and GNSS tests within its ISO/IEC 17025 scope of Accreditation. 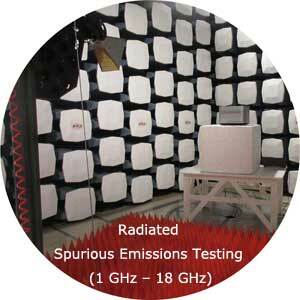 BACL Sunnyvale’s unlicensed wireless, licensed radio, and GNSS test facilities include a large 5m RF Semi-Anechoic Chamber (with an adjacent fully shielded Control Room), a dedicated DFS Test Room, four RF Bench Test Laboratory Rooms, and two Temperature Chambers. BACL Sunnyvale has a large 5m RF Semi-Anechoic Chamber (with its adjacent fully shielded Control Room) dedicated to unlicensed wireless, licensed radio, and GNSS Testing). The walls and ceiling of this RF Semi-Anechoic Chamber are lined with Ferrite Tiles that are covered with 4 ft. [1.22] RF Pyramid Absorbers on the walls and ceiling. This Chamber is fitted with a standard 7 ft. high X 4 ft. wide manually-operated single-knife-edge RF shielded personnel and equipment access door, EMI-filtered Lighting, EMI-filtered electrical power for EUTs and Support Equipment, and a remote video monitoring system. The chamber floor has access hatches that allow the passage of cables between the chamber and its Control Room via metal-lined tunnels. The Chamber is equipped with removable ferrite tile panels and “loose laid” 12 inch [30 cm] pyramid RF Absorbers to improve the “quiet zone” performance of the Chamber. 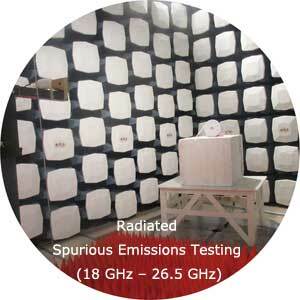 This RF Semi-Anechoic Chamber is equipped with all of the test instrumentation required to perform the various unlicensed wireless, licensed radio, and GNSS tests, as well as the required Instrumentation Control Computers and Test Software to perform unlicensed wireless, licensed radio, and GNSS Testing from 9 kHz to 231 GHz. 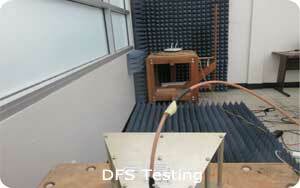 BACL Sunnyvale’s DFS Test Room is equipped with RF Absorber in the walls and floor, a turntable, and a complete stimulus / response DFS test System that includes computer controlled signal generators, amplifiers and antennas. 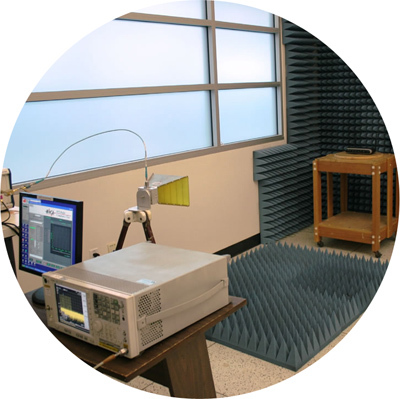 BACL Sunnyvale has four RF Bench Test Laboratory Rooms that can accommodate all of the test instrumentation needed to perform each of the many antenna-conduced RF tests that are required by the various regulatory Standards. Finally, BACL Sunnyvale has a large, dual-programmable Temperature / Humidity Chamber (an ESPEC Model ESL-4CA), and a smaller Temperature-only Chambers (a Tenny T-U Jr.). Both of these Chambers can exceed the full extreme temperature test ranges (i.e., + 60 oC to -40 oC) required by the US FCC, ISED Canada, the EU/EFTA/EEA nations, and Japan. Please contact our friendly Sales Team for information or request information from our Compliance Experts for technical inquiries.